Satisfaction of our Guests is a priority for us, therefore, thinking about your needs, we have prepared a special offer. Accommodation in rooms with panoramic sea views at a 10-% discount. Choice of a pillow from the Menu for your sleeping. Visiting the health and relaxation area Fitness KADORR – Finnish sauna, Turkish Hammam and fitness center. 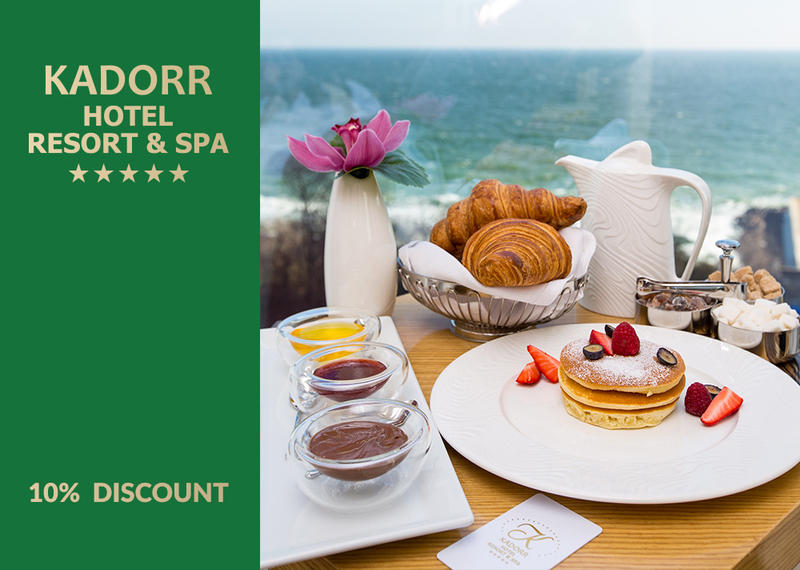 Luxury Breakfast for two at KADORR Restaurant. Evening room-service in the rooms. Late check-out (subject to the availability of free rooms for 3 hours). The offer is valid from 01 to 10 May 2018! * The discount does not apply to bookings that have already been accepted. ** The discounts are not cumulative with any other specials and promotions. *** The promotion does not apply to representatives of the companies holding contracts for hotel accommodation.